The fundamentals of the language are never going to change that dramatically, so being super knowledgeable about the ins and outs of it can only help you. I appreciate Dan Abramov's You May Not Need Redux -- I think more libraries and frameworks should have their co-founder be explicit that their tool isn't always the right tool for the job! It's the truth. Shiny object syndrome is when you see a new thing and immediately want to drop everything and focus on that shiny object. In tech, that may mean that you re-write your applications every time a new library is on the horizon. I am super guilty of this -- I used to write my blog posts themed around writing an app with a new library or framework each week. I've also worked with JQuery, Angular.js, Angular, Vue, Elm, and React at some level for work. But, that shouldn't be normal or encouraged. I think my best shiny object syndrome story was when I worked on a team that was using a Chinese library whose documentation hadn't been fully translated to English yet. I remember running Google Translate to try and figure it out. It wasn't productive and Google Translate isn't great with technical docs in case anyone was wondering. Though the library looked cool, using one that was available in the language we spoke would have been a lot better. So let's talk about how to overcome "shiny object syndrome." In large part due to imposter's syndrome, a lot of developers feel the need to know everything about everything -- but that's not even possible! There's way too much to know, and nobody knows everything! Keep reminding yourself about that, and don't feel the need to know everything -- even though it's hard. Hooks are an experimental proposal to React. You don’t need to learn about them right now. The same is true about everything -- even though it might not feel like it. Once you know one framework or library, it is so much easier to move to the next one. If you understand the component architecture, you are already a quarter way through learning React, Angular, and Vue! You don't need to know all of them. Sure, they're all cool and have different features, but chances are you only need one. Also, when you're picking a stack for your project, don't be the first adopter. Sure it may be cool, you may get a blog post out of it, and maybe it will make some pieces of your code easier. But -- then you get stuck on some bug in the library, and you can't progress until it's fixed. Or documentation for what you're trying to do doesn't exist, and it isn't realistic to bring anyone but expert level developers onto your team. Let somebody else find the bugs first; then you can start using that cool new tool! Is it well used? If it has a community behind it then it's more likely to have contributors and frequent iteration on features and bug solving. Also, it's more likely to have staying power. Who is the community behind the project? Is it a large company? Do they have a code of conduct? How do they treat new users? Is it frequently updated? You don't want to be stuck with bugs that aren't being fixed. Are there frequent breaking changes? You don't want to have to make major code updates to keep the tool up to date. Also, it may make researching the tool difficult. Looking at you Elm and Angular. What features make this tool better than the alternatives? Does it do something extra? Or solve some problem other tools don't? Does it fit your team? If your team is mostly junior developers, for example, does the framework have good learning resources and documentation? If you have mostly functional programmers does the tool fit that paradigm? Is the documentation good? This is so important for being able to use the technology easily. How does the code look? 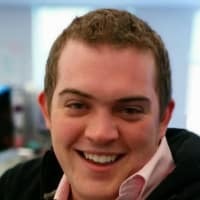 Does the codebase look well written and maintainable? There's no singular right answer here -- if the technology works well for your team, it’s the right solution no matter what some thought leader says on Twitter. Okay -- so now that we've discussed shiny object syndrome -- how can you stay up to date on the latest updates in a reasonable way? It's not actually not that spooky! For future readers this was written for a Halloween talk, hence the spooky theming! Due to the confounding nature, getting oriented and being confident in your orientation is probably harder than the problem at hand most of the time. Anyway, I think this advice is all spot on. Being confident with the basics will go a long way. In web land, I think it also helps to get to know the DOM's various methods. I don't think you need a deep understanding of how the DOM tree is built (I don't), but having practice calling DOM methods like document.getElementByID give you a good idea of more or less how your abstractions are operating. I so have the "shiny object syndrome"! It is even worse when you are a newbie who is trying to make something bigger than a tutorial-based project. The feelings of "I chose the wrong things! ", "The architecture needs to be rewritten, this cannot work", "That tutorial was outdated and put me off-track", "Me-6-weeks-ago was so dumb" are severely amplified. Is it well used? If it has a community behind it then it's more likely to have contributors and frequent iteration on features and bug solving. And that's not a bug, it's a feature! Thanks for the information. 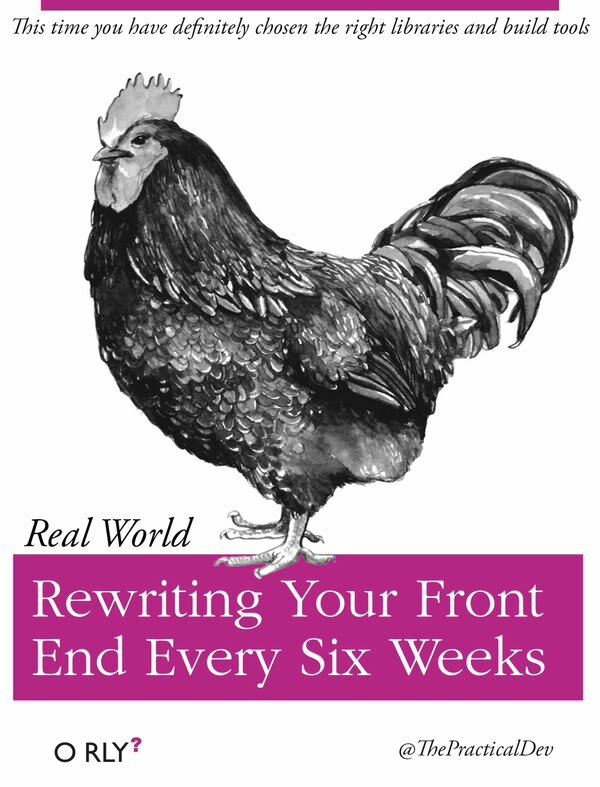 I'm trying to get into front end development on my free time and you're right. It's not possible to learn or know everything and it has to be a small piece at a time. It's funny as a person I know this, but when I read it or someone else says it, it somewhat brings me back down to earth. It's so hard to turn the blinders on sometimes, but it's so necessary! Nice article! Being a backend developer interested in frontend WebAssembly is a thing I'm quite excited about. It could help lessen JS monopoly on the frontend. This is partly due to the hype factor. There's a lot of hype in every stack (frontend, backend, mobile, whatever), it's quite hard to be a beginner these days. Glad people like you are helping in making sense of it all. I just started learning JS. Your article will certainly come in handy in my journey. Thanks a lot!